In the past few years, beauty has truly become an international industry. Gone are the days of having to ask your friends to bring you back products from other countries; many European and Asian brands are now easily accessible online. Micellar water or eau micellaire, the beloved multitasking product of French women, is a staple in drugstore aisles, easily accessible. It’s known for its ability to cleanse, tone, and hydrate. So now that micellar waters have conquered the drugstores, they are, of course, expanding into non-skincare, namely, haircare. I actually have never been a fan of micellar water for my face. I prefer to cleanse the old-fashioned way; I never felt like my face was actually clean when I went the micellar route. Micellar water is known for being gentle, yet effective, so for hair, that means it cleanses and removes buildup without stripping your hair of its natural oils or texture. It’s supposed to make your hair soft and shiny, and most of them are safe for color-treated hair. I’m always nervous about trying new hair care products. My hair is my security blanket, beautiful and vibrant, and I’m picky about everything from the products I use to the hairstylists I let handle it. 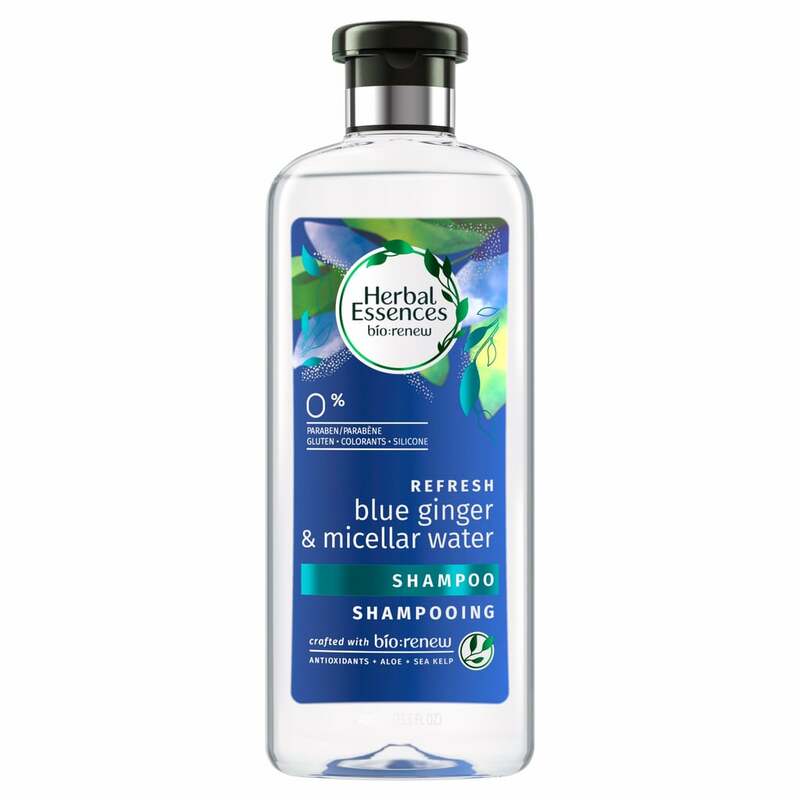 I opted for Herbal Essence’s Blue Ginger & Micellar Water shampoo as my tester because it was paraben-free and safe for the few highlights I still have in my hair. Plus, like all Herbal Essence products, it smells incredible. I decided to try it after a particularly sweaty yoga class to really give it a challenge. It lathered up nicely. Pre-conditioner, my hair felt a bit on the squeaky-clean side, which is a feeling I like for my grease-prone scalp, but not for the strands itself. I conditioned with my favorite Schwarzkopf mask, rinsed, and put my hair in its special towel. As my hair dried, I noticed that it felt incredibly soft, even my ends, which were months overdue for a haircut. My strands were shinier than usual too. I’ve been using the shampoo every week for about a month, and it’s a really great addition to my routine. I don’t use it every day since cleansing shampoos can be really stripping, but it’s a great reset button for my hair, and I highly recommend it.